In between our love for handicrafts and the Delhi winters, we decided to explore the flavor of the month- the Kashmir Festival at Winter Mela, Dastkaar Nature Bazaar. 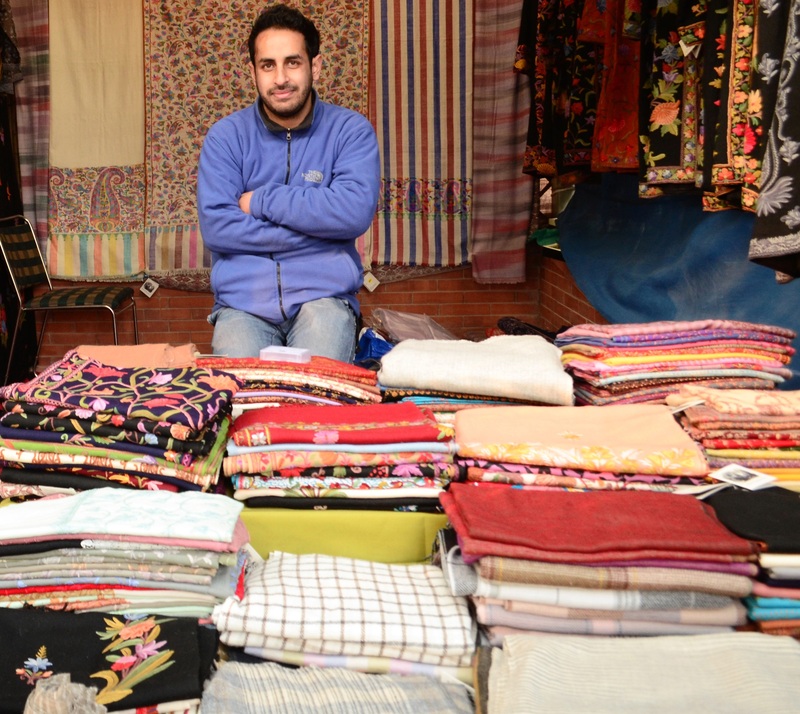 Brought to Delhi by the people of Kashmir to celebrate the spirit of the valley, the colorful and vibrant bazaar saw various handicrafts of India on one platform and was a huge draw with tourists. The festival showcased some of the best crafts like exquisite pashmina shawls that Kashmir is famous for, both embroidered and woven, hand knitted carpets and papier mache, embossed copperware, embroidered and beaten Namda floor coverings, traditional jewelry and other unique and beautiful products. The artists showcasing their work include those from the region affected by the recent floods in Kashmir. The famous Kashmir breads, saffron, nuts and dry fruits were also on sale, as was delicious home-made strawberry, apricot jam made by women with produce from Kashmir orchards. 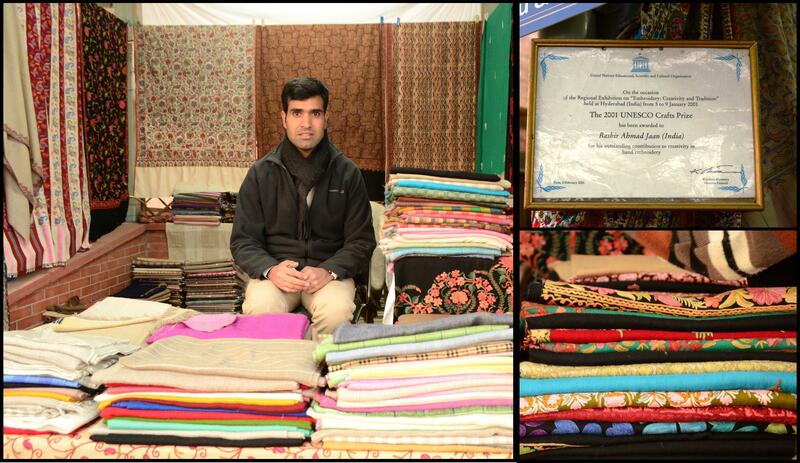 The event was organized by Commitment to Kashmir in association with Dastkaar Nature Bazaar in aid of the flood affected artisans of Kashmir. Handwoven Pashmina Shawls- Elysian Arts Fidose Ahmad is an eighth generation Pashmina craftsman. The recent floods swept away his workshops, but that did not stop this valiant man to come create everything again right from scratch. Even in this age of technology, their shawls are created in the same fashion and with same techniques as were used by his forefathers. The reason? Ahmad feels making of a Pashmina is a very emotional and spiritual affair and hence the purity should not be messed up with modern techniques. 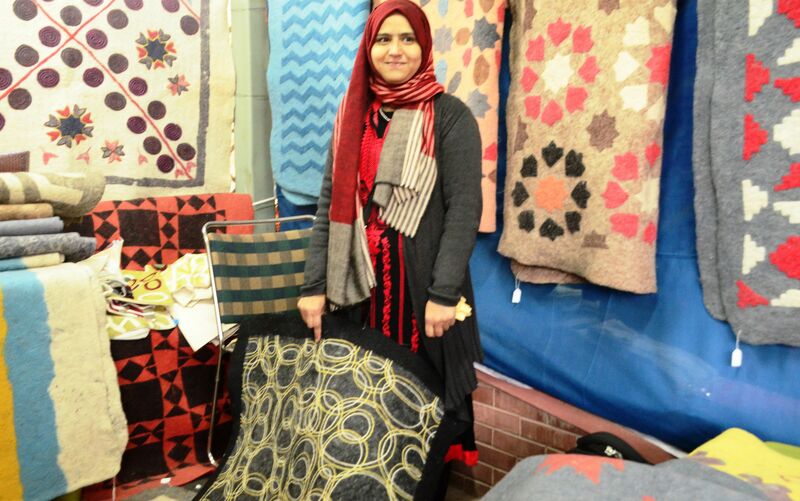 Incredible Kashmiri Crafts In a region where such female entrepreneurship is a rarity, Arifa Jan began making namdas, rugs created from felt wool, when she knew that the traditional craft was at a low point. She also revived patterned namdas, in which patterns are cut from felt of different colors and then combined in a felt base. She experimented with these patterns and with various types of embroidery on these namdas. She also wants to start an organization for women working with handicrafts, especially women in difficult situations as a result of the region’s conflict. This Wani Pashmina collection is a celebration of Kashmir handicrafts and an effort to keep the traditional craft alive by creating contemporary embroidery design which can be worn effortlessly. Posted in Art, Artist, Crafts, Delhi, Embroidery, Jammu & Kashmir, People of India, Textiles, Travel and tagged artisans, Craft, Dastkaar\, decor, Delhi, Handicrafts, Handmade, kashmir, Kashmir Festival, pashmina, Winter Mela. Bookmark the permalink.